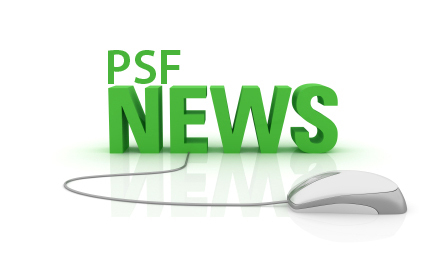 Pakistan Science Foundation (PSF) will carry out need assessment of rural area schools for launching a pilot project in one of the districts to promote inquiry-based science education, said Prof. Dr. Muhammad Ashraf, Chairman, Pakistan Science Foundation (PSF). 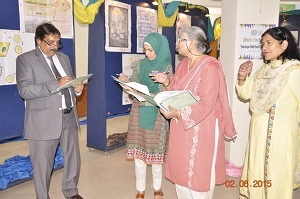 The Chairman was speaking as the Chief Guest at a function in connection with 24th Inter Board Science Poster Competition, at PSF on June 2, 2015. Prof. Dr. Akram Sheikh, Member Science PSF, Mr. Hasnat Ahmed Qureshi, Member Finance PSF and Mr. Amjad Hussain, head of International Liaison, Ministry of Science and Technology (MoST) as well as members of Jury for declaring winners of the posters were also present on this occasion. The Jury members comprising renowned artists and scientists included Mrs. Tasneem Abbas, an eminent artist, Mr. Khalid Siddique, Joint Technical Advisor MoST, Ms. Nosheen Aamir, an artist. 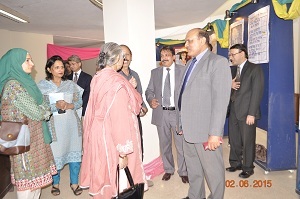 Mr. Nusrat Zaidi, Sr. Graphic Artist of PSF and Organizer of the competition, a good number of scientists and people from academia and other walks of life attended the function. Dr. Ashraf said that the rural area schools are in shambles and they need attention for equipping them with science labs to promote and popularize science education in the country. He disclosed that in collaboration with UNESCO they would develop science kits for laboratories of rural areas schools to strengthen science-base in Pakistan. He said that assessment of these schools’ needs will be carried out by PSF and on its basis the model kit will be developed. Distribution of these kits will be made as a pilot project in schools of rural areas of a district to evaluate the challenges and later it will be extended to other districts. Dr. Ashraf also revealed plans to promote Inquiry-Based Science Education and scientific research through national and international collaboration. He congratulated all those who participated in the contest. The Chairman said the winners will be awarded with prizes at a prestigious ceremony on the World Science Day celebrated each year on November 10. Speaking on this occasion Dr. Akram Sheikh said that the competition is a yearly activity of the Foundation which is being organized in collaboration with education boards of the country. He said the posters of three top position-holders from each board were displayed at PSF and the jury adjudged winners of the three top positions. The Jury announced winners of the science poster competition. Zartasha Rana and Amna Tariq from Sargodha won 1st and 2nd prizes respectively, while the 3rd position was shared jointly by Muhammad Muzammil from Tando Allahyar and Yasir Ali from Faisalabad. Pakistan Science Foundation, All Rights Reserved.